When you are starting to add items in your sacred place, having Art either in a picture frame, sculpture form or other can enhance one's experience. It is recommended to have a piece of Art in your sacred space. Mandalas are sacred images that contain simple or complex designs that unfold and illumine the conscious mind. 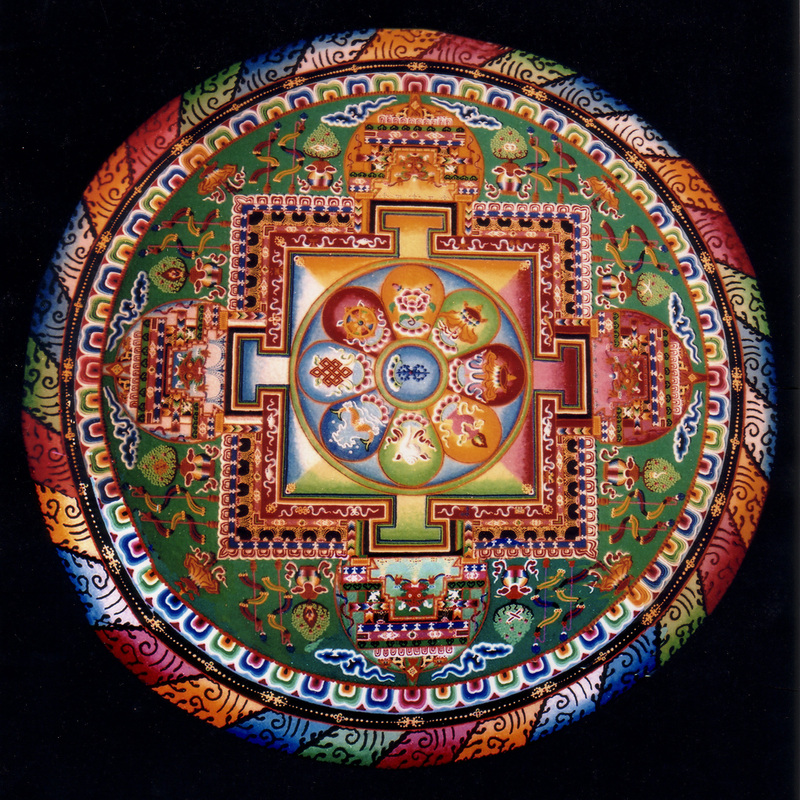 Mandalas are believed to heal, inspire, reveal, teach and awaken. These designs with the spiraling movement of consciousness sacred geometry, psychology and healing. Mandalas are seen as sacred places which, by their very presence in the world, remind a viewer of the immanence of sanctity in the Universe and its potential in his or her self. 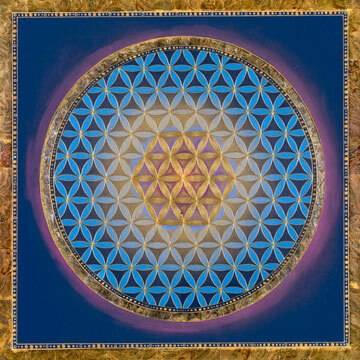 Sacred geometry is the geometry used in the planning and construction of religious structures such as churches, temples, mosques, religious monuments, altars, tabernacles; as well as for sacred spaces such as temenoi, sacred groves, village greens and holy wells, and the creation of religious art. In sacred geometry, symbolic and sacred meanings are ascribed to certain geometric shapes and certain geometric proportions. Christian art is sacred art produced in an attempt to illustrate, supplement and portray in tangible form the principles of Christianity, though other definitions are possible. 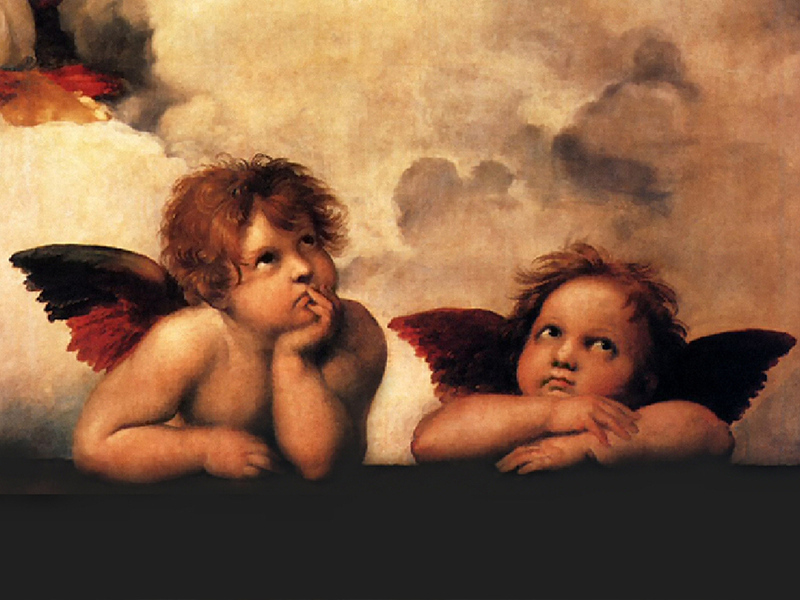 Most Christian groups use or have used art to some extent, although some have had strong objections to some forms of religious image, and there have been major periods of iconoclasm within Christianity. Images of Jesus and narrative scenes from the Life of Christ are the most common subjects, and scenes from the Old Testament play a part in the art of most denominations. Images of the Virgin Mary and saints are much rarer in Protestant art than that of Roman Catholicism and Eastern Orthodoxy. 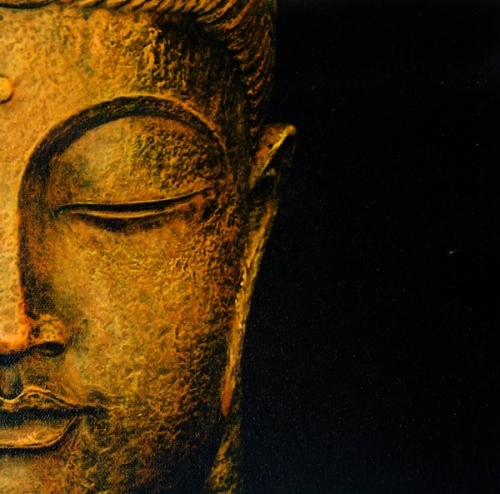 Buddhist art originated on the Indian subcontinent following the historical life of Siddhartha Gautama, 6th to 5th century BC, and thereafter evolved by contact with other cultures as it spread throughout Asia and the world. 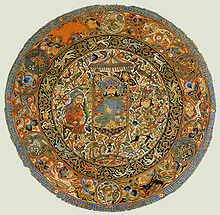 Buddhist art followed believers as the dharma spread, adapted, and evolved in each new host country. It developed to the north through Central Asia and into Eastern Asia to form the Northern branch of Buddhist art, and to the east as far as Southeast Asia to form the Southern branch of Buddhist art. In India, Buddhist art flourished and influenced the development of Hindu art, until Buddhism nearly disappeared in India around the 10th century due in part to the vigorous expansion of Islam alongside Hinduism. 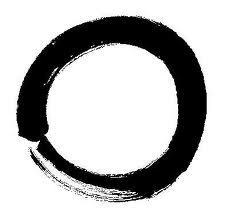 Zen art is spiritual art in its purest sense. 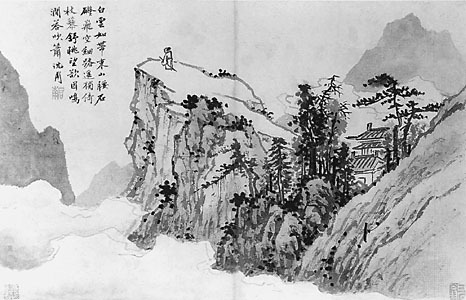 It was done not by professional artists, but Zen monks and nuns who sent extremely disciplined lives of meditation, in a search for enlightenment and awakening to the true nature of reality. Islamic art encompasses the visual arts produced from the 7th century onwards by people (not necessarily Muslim) who lived within the territory that was inhabited by or ruled by culturally Islamic populations.It is thus a very difficult art to define because it covers many lands and various peoples over some 1400 years; it is not art specifically of a religion, or of a time, or of a place, or of a single medium like painting.The huge field of Islamic architecture is the subject of a separate article, leaving fields as varied as calligraphy, painting, glass, ceramics, and textiles, among others. African art constitutes one of the most diverse legacies on earth. 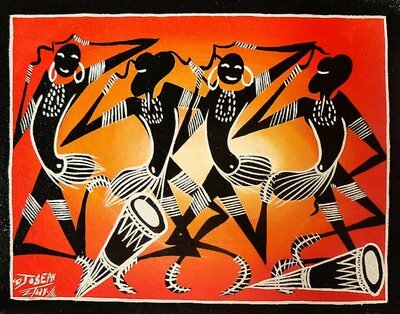 Though many casual observers tend to generalize "traditional" African art, the continent is full of people, societies, and civilizations, each with a unique visual special culture. The definition may also include the art of the African Diasporas, such as the art of African Americans. Despite this diversity, there are some unifying artistic themes when considering the totality of the visual culture from the continent of Africa. 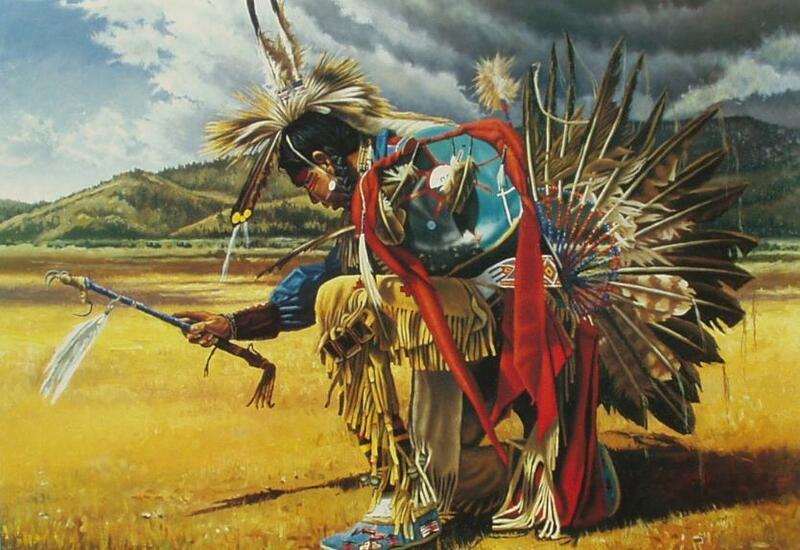 Native American creativity is boundless and sacred. Their artistic designs have beauty and care motivated by their love for nature. Native Americans created many shapes and geometric designs for their art and these were repeated and became representative symbols that transcended tribal language barriers. Native art designs became a language in themselves, a form of communication. The harmony and oneness sensed in their art is real, and it provides serenity to those who experience it. Indian art is so intimately associated with Indian religion and philosophy that it is difficult to appreciate it fully unless one has some knowledge of the ideals that governed the Indian mind. In Indian art there is always a religious urge, a looking beyond. From the exuberant carvings of the Hindu temples to the luminous wall-paintings of Ajanta, to the intriguing art of cave sites and sophisticated temple-building traditions, the Indian subcontinent offers an amazing visual feast. Art pervades every facet of Indian life, is found on every byway of Indian Civilization. 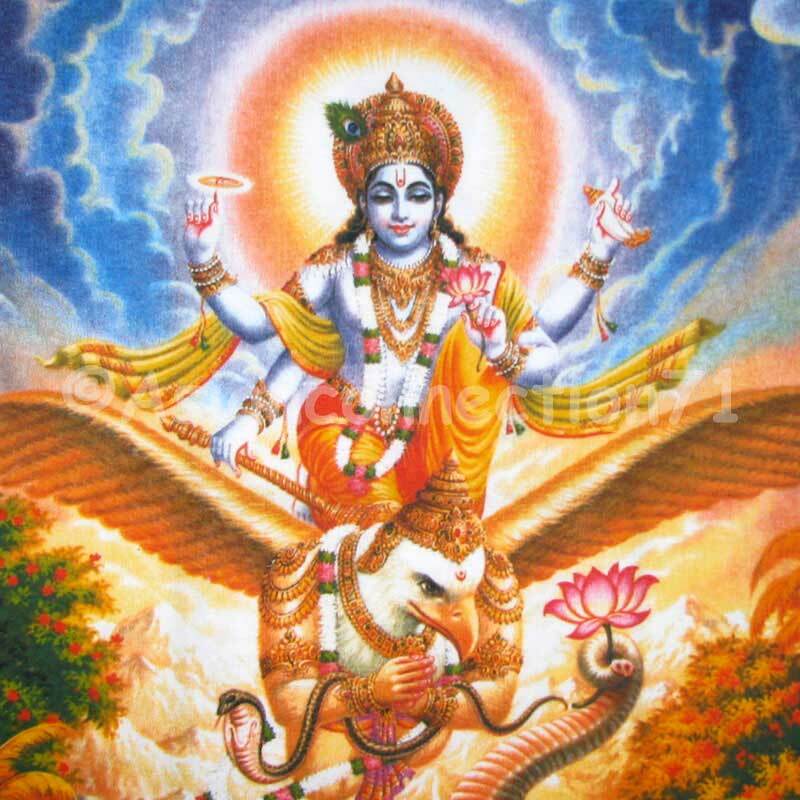 Indian art in its purest form is Yoga, a disciplined style of worship and self-restraint that may also be thought of as India's oldest indigenous "science." Shiva, the " Great God" of yogic practice, visually represented as "King of Dance" (Nataraja), is the most remarkable single symbol of divine powers ever created by Indian artistic genius. Indian artists have celebrated and immortalized the beauty of human bodies in bronze and stone for more than 5,000 years.